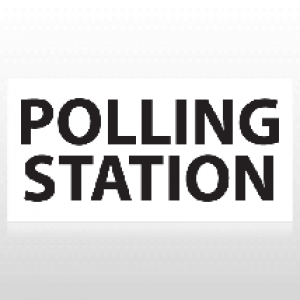 POLLING STATION banner with white background. Available in 2 material options. Custom size available. If you need assistance designing your yard sign rider please don't hesitate to contact us at 1-800-257-6091 or use our live help service.